In this street style find for Out magazine, I stopped by the treasure trove of Camden Town, home to several alternative and fast-fashion shops, international dines, and an urban labyrinth of open-air markets. I spotted a local photographer named David who caught my eye with his perfect “messy hair” look, and a nicely fitted leather jacket. 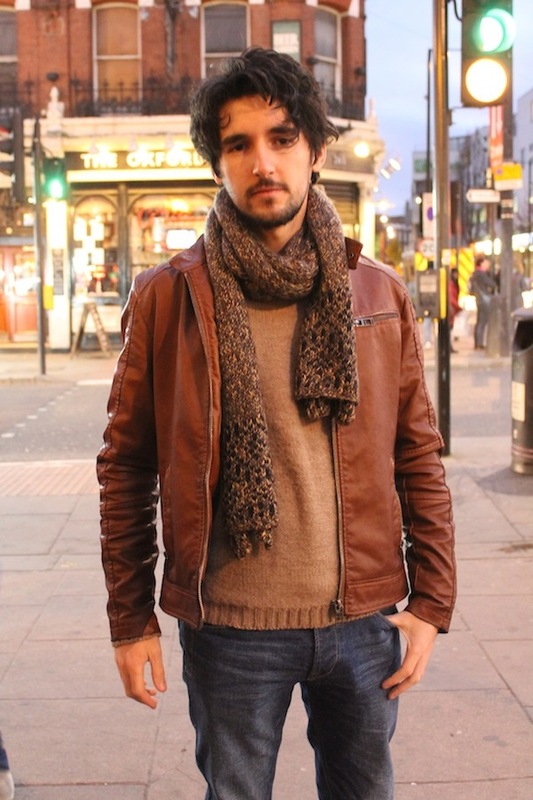 Posted on December 24, 2013, in Fashion, Street Style and tagged Grooming, Hair, Leather, London, Menswear, Street Style. Bookmark the permalink. Leave a comment.